Because this hash is sure to be a disaster, and hurricane season is upon us, the theme is going to be disaster preparedness. 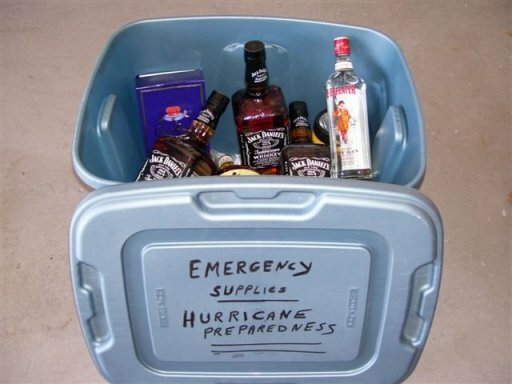 All disasters included, hurricanes, tornados, pregnancies, marriages, shartings, appocolypse. So bring life jackets, condoms, flotation device, flashlight, a damn whistle, adult diapers, zombie tools etc. There will be shiggy and a Turkey Eagle split! PreLube: At the START ’round the beer casket, Bring extra beer! Bring: $1, 6+ beers (extra for pre-lube, on-after will also be at the beer casket, so bring extra for after the hash, too), shiggy socks, bug spray, flashlight, whistle.